Planning a cruise might seem a bit overwhelming especially if it is your first cruise. Don’t let the size of today’s mega-ships intimidate you. With some knowledge and a little bit of planning, you can make that dream vacation a reality! 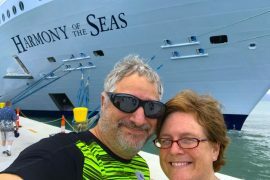 We have been cruising together for 11 years now on some of the biggest and best cruise ships in the world. 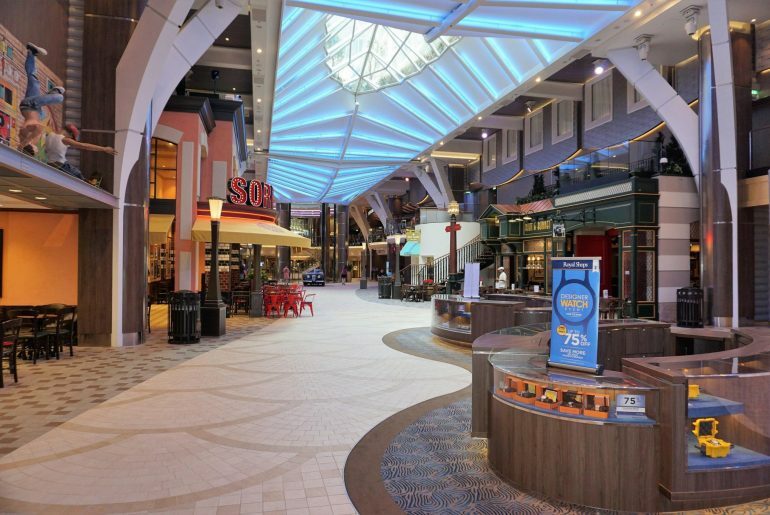 Over the years, we have learned a thing or two and have compiled these expert tips for cruising on Royal Caribbean mega-ships to help ensure smooth sailing. “Mega ships” generally refers to the Oasis class of ships which include: Symphony of the Seas, Harmony of the Seas, Allure of the Seas and Oasis of the Seas. Royal Caribbean is home to some of the largest cruise ships afloat, including the largest cruise ship ever, Symphony of the Seas. 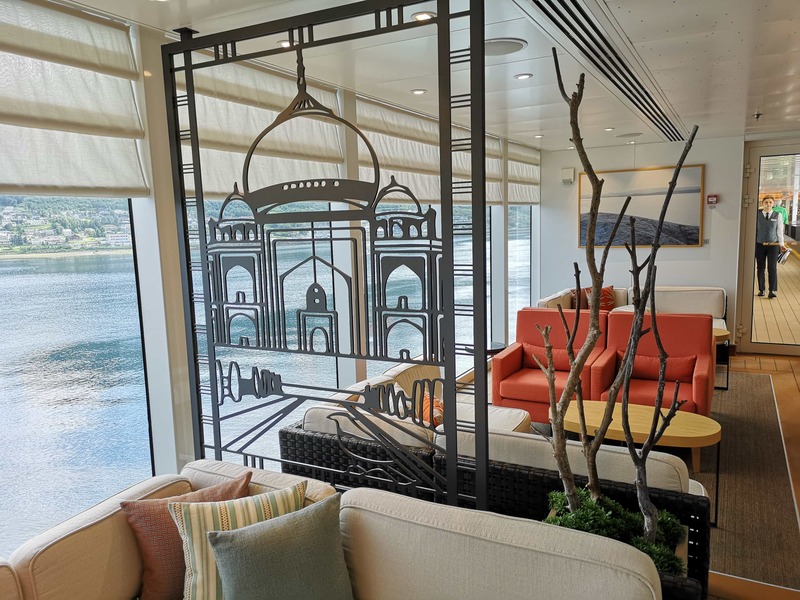 These ships are very popular among loyal Royal cruisers and prime cabins fill-up quickly when new itineraries are announced. 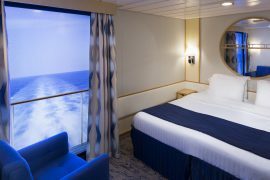 We always book our cruises a year (or more) in advance to secure a good cabin and an even better rate. If by some chance the fare does go down, you can always get a price adjustment. ^^ You can only get a price adjustment in the US, this doesn’t apply in the UK – Note from Emma. 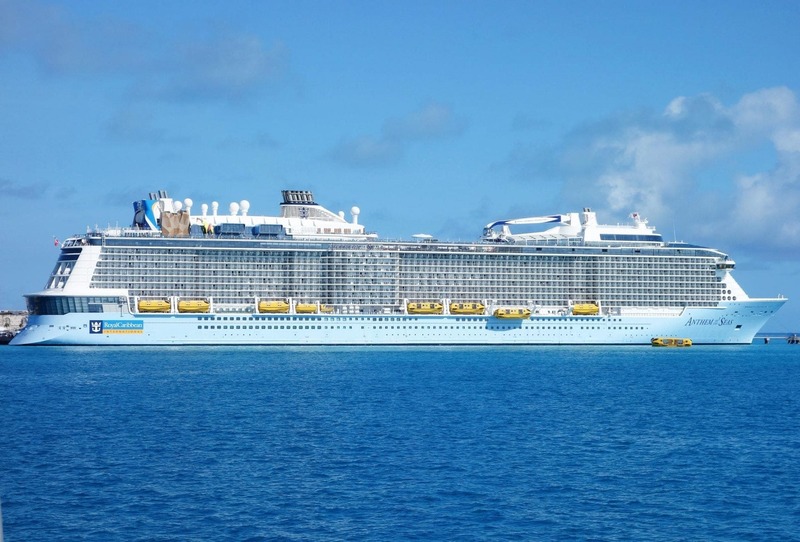 Royal Caribbean mega-ships are like floating cities. It might take you the whole week to get your bearings if you don’t do a little pre-cruise preparation. Review the deck plans on the RCI site to get a general sense of what is offered on the vessel, the layout of the ship, and what activities are must-do’s during your cruise. This will also help to get you even more excited for your trip! Once you have a confirmation number and register on the RCI website, you will receive many emails leading up to your cruise date. While you will probably ignore most of them, be on the lookout for a notice that there is a sale in your Cruise Planner. That is the time to log in and save on items like Voom internet, beverage packages, and even other add-ons like speciality dining and shore excursions. 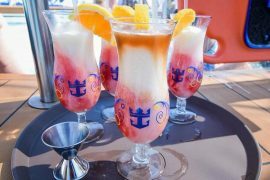 You can find out more about the drinks packages available on Royal Caribbean here: Royal Caribbean Drinks Package Guide & Tips 2018. 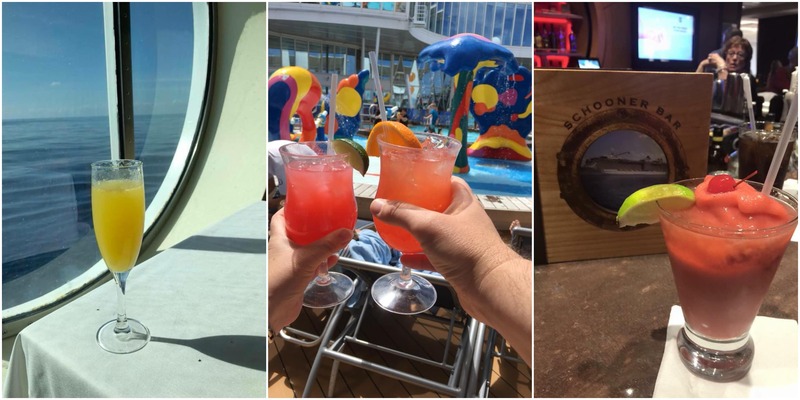 Photos of Royal Caribbean drinks from the members of our Facebook Group! Royal Caribbean mega-ships are home to some of the most immersive and entertaining shows and nightlife of any cruise line. Most of the major productions require reservations, however, which you can make pre-cruise in your Cruise Planner. Reservations usually open around 90 days prior to sailing. 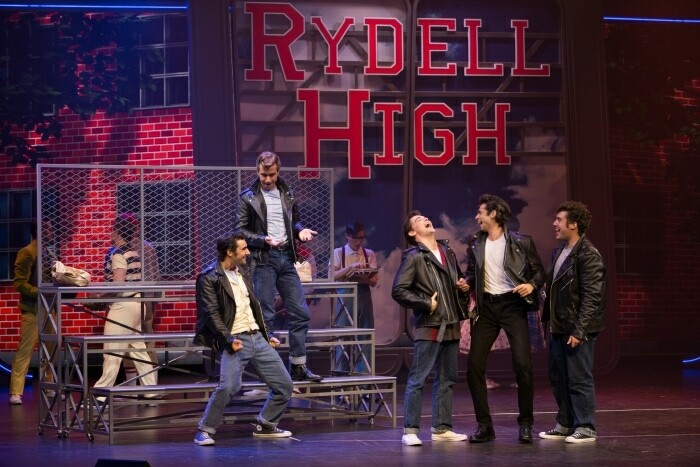 There is no cost to reserve shows, and we would hate for you to miss a performance or end up waiting in a long stand-by line, so book reservations as soon as they become available. If you are cruising with little ones, make sure to register them on the first day of the cruise with the youth staff in Adventure Ocean. Even if you think your kids will not use the areas or like them (two assumptions that are probably incorrect), registered children will receive a wristband indicating their muster station in the event of an emergency. Be warned- once your children see the facilities, they might never want to leave. 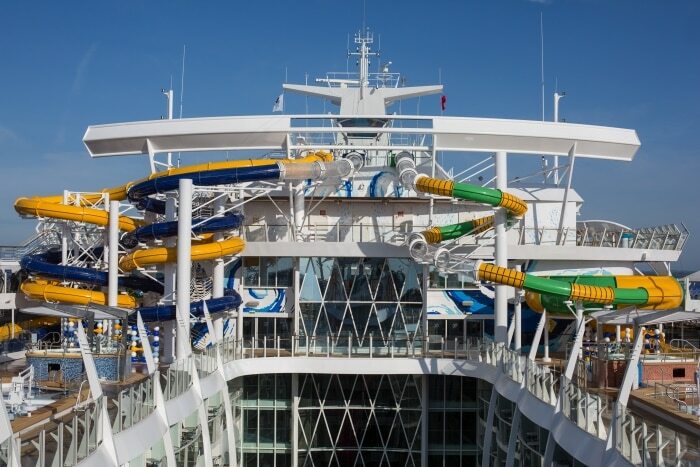 Most of Royal Caribbean’s newer ships have the Royal IQ app-enabled during sailing. While onboard, this app allows you to review your account, reserve restaurants, see the daily list of activities, and (for an upcharge) communicate with other cruisers on the ship who also have the app enabled. You don’t have to pay to use most features on the app, and since you will probably have your smartphone with you anyway, activating the app is a no-brainer. 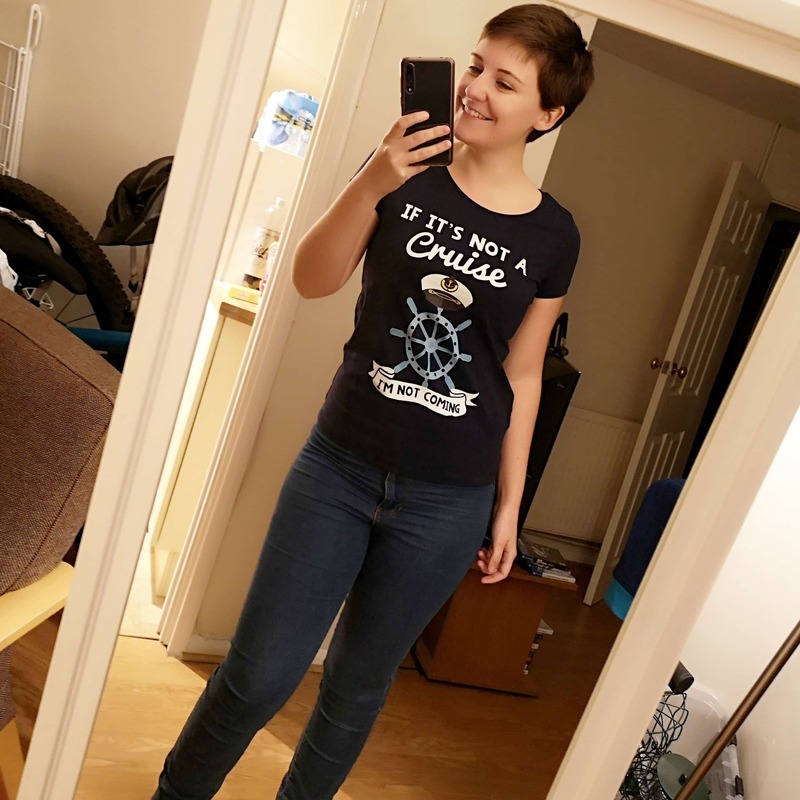 You should review the Royal IQ app or the printed list of daily activities known as the Cruise Compass to find out what is happening on the ship. You will get a copy of the Compass each night in your stateroom so you can check out what is happening the next day and plan accordingly. That way, you can stay one step ahead of the other cruisers and the crowds. The cruise compass will also let you know when the formal nights are. You can find out more about the formal nights onboard here: Royal Caribbean’s Formal Nights. 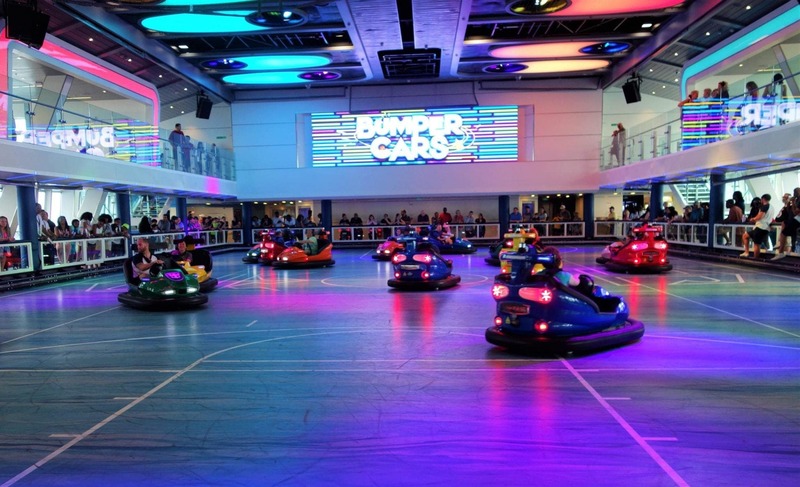 We know you have been looking forward to riding the bumper cars or the Flowrider surf simulator, but so have the thousands of other people on the ship. We recommend arriving to these activities early to ensure that you don’t miss out or get stuck waiting in a long line. For shows, doors at the venue usually open at least 30 minutes prior to the start time, so be sure to arrive early to get the best seats in the house. 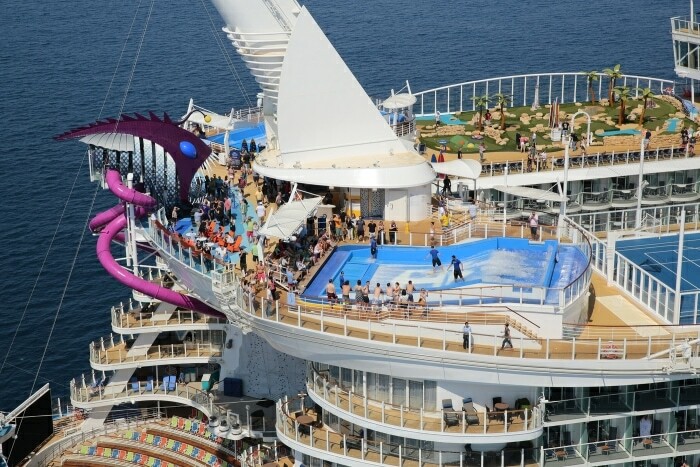 After sailing on several mega-ships, we have learned how to avoid most of the crowds. Even while cruising with 5,000+ new friends. During peak times, use the stairs instead of the elevator, especially if you are only heading down a few decks. Try to plan your meals at off times, and by all means, avoid the Windjammer buffet. Royal Caribbean’s mega-ships have great complimentary venues for breakfast and lunch. For example, sit-down breakfast at Johnny Rockets or sandwiches and salads at the Park Café for lunch. These venues tend to be quieter than the buffet located right next to the pool deck. Another great way to avoid the crowds is to go against the current. 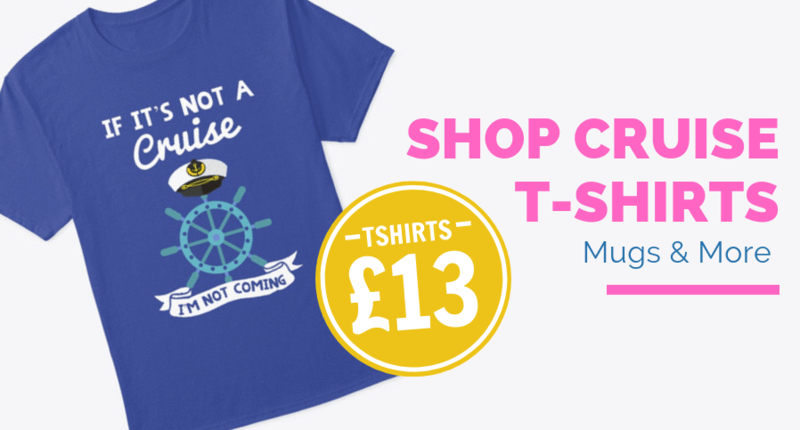 While everyone is heading ashore at your latest port of call, stay onboard. This is a great time to explore the ship and utilize some of the public venues. Granted, not everything will be open while you are docked. But many of the outdoor attractions and some of the high demand activities will be open at least part of the day. We always skip one port that we have visited recently or several times in the past to take advantage of an empty ship. 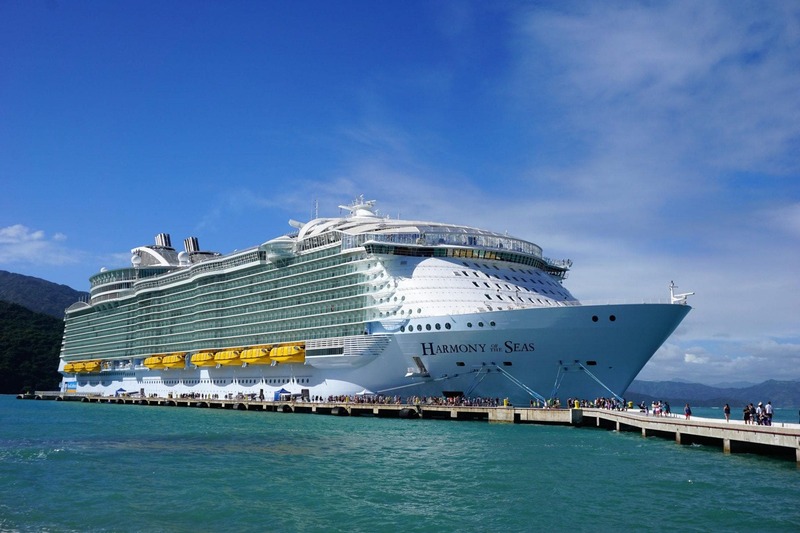 You can find a full review of the Harmony of the Seas pictured below here: Harmony of the Seas – Ship Review. Thanks for this Don! I’ve never been on one of the Royal Caribbean mega-ships so I’m always interested in learning more. I’d love to try one! I’ve only been on one Royal Caribbean cruise onboard the Independence of the Seas. I really enjoyed it and I even tried the Flowrider when I stayed onboard during a port day!. Hopefully one day, in the not too distant future, I’ll get on board. 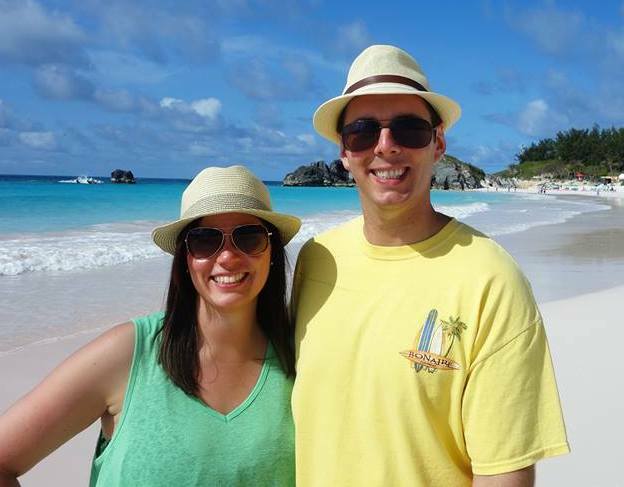 We are Don and Heidi Bucolo, the husband and wife team behind EatSleepCruise.com. We took our first cruise vacation together 11 years ago and have been hooked ever since. Fellow travelers have come to know and love our signature cruise reviews. 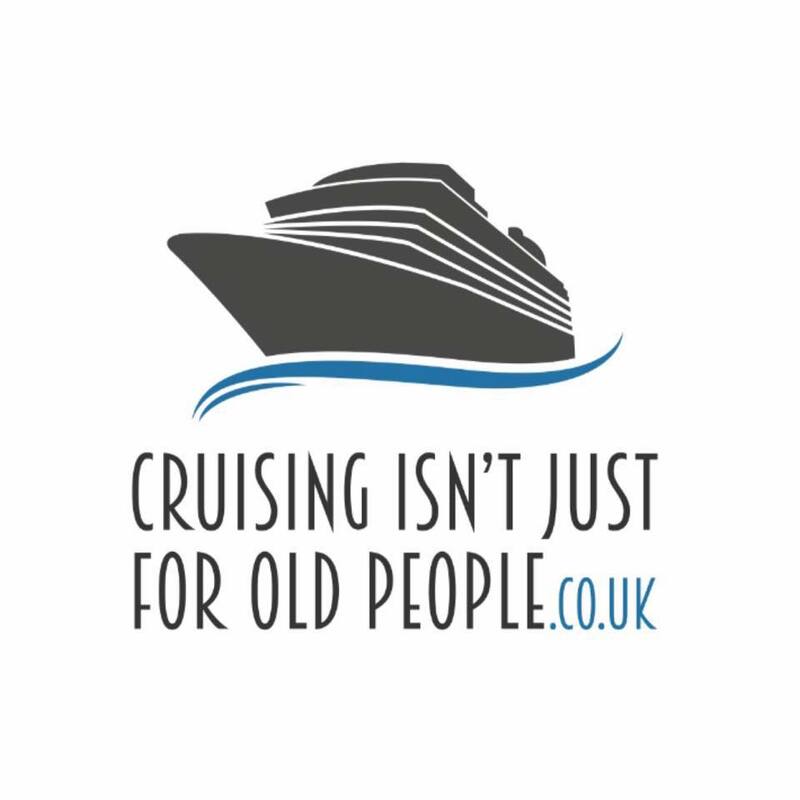 Cruise tips and planning advice, hotel reviews, port guides, shore excursions reviews, and more. In 2017, we were rated as one of the top 25 socially shared cruise blogs of the year. We also served as cruise expert advisers to USA Today’s 10 Best Readers’ Choice Awards, among other accolades. 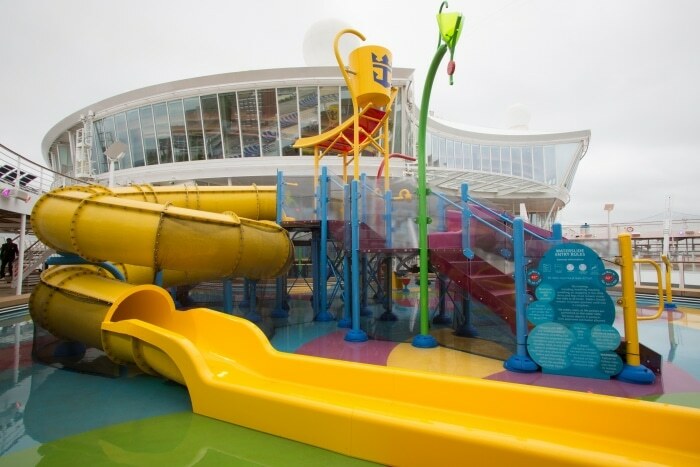 HARMONY OF THE SEAS, CRUISE REVIEW – EAT SLEEP CRUISE.